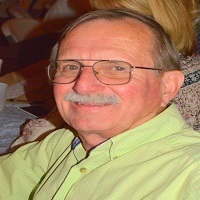 FROSTPROOF – James Wesley Wise, 68, of Frostproof, passed away Sunday, April 7, 2019, in Sebring, FL. He was preceded in death by his father J.W. ‘Jake’ Wise, brothers Glenn J. Wise, J.T. Wise, sister Mildred Hinckley, nephews Steven Wade McCarter & Rudy Wise. Survivors include daughters Wendy Hull (Kevin), Shelley Camp (Jeff) & Aubrey Wise; mother Mary Wise, sisters Tenny R. Croley & Lynette Vermillion (Jeff); grandchildren Dane Donker (Jessica) & Cade Donker (Kaitlyn), Taylor Bunch, Jackson Camp, Taylor & Katelyn Hull & great-grandson Zane Donker. Lake Wales Association of Realtors, President of the Ramon Theater & the Board of Directors of Habitat for Humanity where he was extremely instrumental in placing families in new homes. He was very involved in the Annual Orange Blossom Festival & assisted in the lineup of the Frostproof Christmas parades. Wes received numerous awards including Volunteer of the Year for Ben Hill Griffin Elementary, Realtor of the Year & Frostproof Man of the Year. He enjoyed fishing, camping & spending time with friends and family. A Celebration of his life will be held at the Ramon Theater, Frostproof, on Saturday, April 13 at 11:00 a.m.